Until recently, I would say that about 4 in 5 of the stories I've read set in Japan have been clunkers. Part of this is just me as one of the expats in Japan who engages in that terrible oneupmanship that involves comparing numbers of kanji learned and thinking that we all know Japan more than the next expat. When Heroes began the internet was awash in people picking apart the Japanese characters' accents and vocab. Does this happen in other countries? The other problem is that there are people who have important stories that need to be told but they have spent their adult lives in a non-English speaking world and seem to have lost their ability to write in English. I'm not sure how some of these get published, other than those that are self-published. I get antsy sometimes and start reaching for my red pen when reading the worst of these. Everyone needs an editor when they publish, and some need more than one. But something in 2012 has gone very right, and so far everything I have read on Japan has been awesome. The writing is great. The Japan facts are right on. Plus I haven't felt like anyone is using Japan as a gimmick because it is weird. 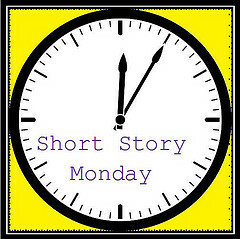 I include in this the short story I read for this Short Story Monday, hosted by John at The Book Mine Set, in this list of winners. Love Right on the Yesterday is a coming of age story written by Wendy Nelson Tokunaga for the Tomo Anthology of young adult stories related to Japan, which is to be released next week as the first anniversary of the 3.11 disasters nears. Love Right on the Yesterday is a story about a teen and her passion and how it affects her relationship with her parents. Yumi is a teen who loves singing and her idol, Rie Ando, and wants to push that love to the next level by becoming the next Rie Ando. She puts all her effort into this dream, and although her parents seem to thwart her at every turn, they relent when she gets her big break. Tokunaga's characters are all sympathetic. How can you not feel for the daughter who just wants to do what she loves, the mother who wants her child safe, or the overworked father? Because of this, although you want to cheer when Yumi gets permission to start her idol career, there is a niggling doubt of worry set in your mind by Yumi's mom, that this could be a disaster. Tokunaga is a long-time resident of Japan, and her attention to detail is excellent. Just the names of the characters are enough to show the generations to which they belong. She also chronicles the life of a pop star in the way it truly is in Japan. Yumi might think that this is all about her singing and fashion, but we can see that it is her youth and naiveté which are really the product. Her singing voice is decent, but it's the number of stuffed animals she owns that will delight young girls and otaku alike. Love Right on the Yesterday is a delightful introduction to a book of short stories which has high aims. Holly Thompson selected at least one fantastic story for her anthology, and I can't wait until March when I find out if they are all as good. I have a feeling my luck will hold. Sounds like you really enjoyed the story. I'll be looking up the Tomo Anthology. It sound like a wonderful story! I'm going to check out the link, is that for the story?